The Players sound has been ingrained into modern popular culture. Their music has been used everywhere, from McDonald's commercials to The Sopranos. In 2004 the Players were given a prestigious BMI award for the use of the song 'Fire' on 12 seasons of Hell's Kitchen. The Players also paved the way for the next generation of funkateers; samples of their music have enhanced the careers of Snoop Dogg, Dr. Dre, Ice Cube, Ice-T, Beastie Boys, Public Enemy, Jay-Z, Outkast, Notorious BIG, 2Pac, Mary J Blige and a great many others. Their songs have also been covered by a vast array of artists including Red Hot Chili Peppers. 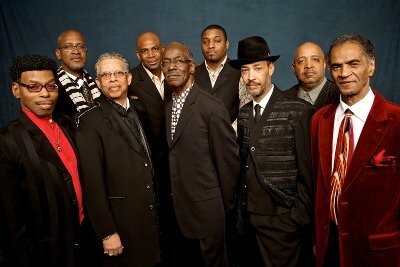 In 2013, the Players were inducted into the inaugural class of the Official R&B Music Hall of Fame and in 2018, for the first time in almost 30 years Ohio Players are back with new music! The original Players members of James 'Diamond' Williams (Drummer), Billy Beck, (Keyboardist), Clarence 'Chet' Willis (Guitarist) and Robert 'Kuumba' Jones (Percussionist) have been back in the studio recording the new music. The first single to drop is called 'Reset' and rest assured, that Player groove is ever present. Mature and refined and complete with that earthy timeless signature sound that made Ohio Players international superstars. Coinciding with the release of the new record, Cherry Red Records out of the UK have put together the definitive three CD collection of Ohio Players works, combining music from the Capitol, Westbound, Mercury, Arista & Boardwalk days alongside various spin off projects by the members over the years for a total career overview of this exceptional Funk Band.